It was perhaps the 27th or 28th of February when I first saw the news. It was extremely terrifying to hear about an American-Bangladeshi couple who had been brutally attacked at the Ekushey Book Fair by Radical Islamists. 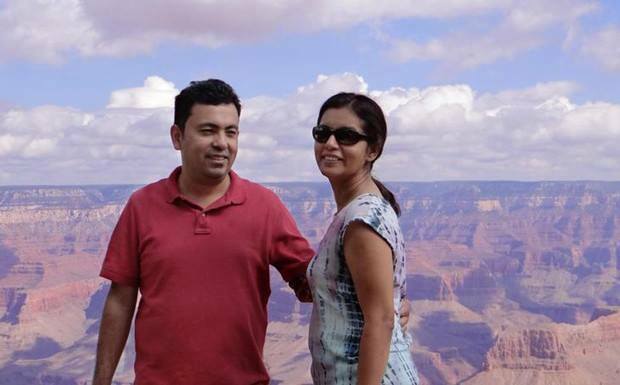 The husband, Avijit Roy, did not survive the attack. His wife, Bonya Ahmed, was in a critical condition. Their crime was simply that they were critical thinkers: they were atheists who advocated for freedom of expression and promoted scientific thinking. Avijit Roy was a well-known writer, blogger, and activist who founded Mukto-mona, an online platform for freethinkers. Bonya Ahmed is a humanist activist, blogger and author who continues to work towards their shared goals. Thinking back to 2015, I recall many expressed their outrage on social media over this incident, people gathered to mourn. But it was not enough, the outrage was not as widespread as it should have been. In Bangladesh, many are afraid to express their opinions freely, especially on social media. After all, expressing one’s opinion has turned out to be one of the riskiest acts in Bangladesh, in fact it can cost you your life. And when it comes to issues such as atheism and LGTBQ rights, many are even afraid to express solidarity even if they empathize. I will not propose any theories here or discuss legal conventions, but just put forward a very basic argument. Nobody deserves to lose their lives for being atheists, or otherwise. This is our basic human right- the right to live! But it seems when it comes to the right to live, bloggers/minorities/secularists/atheists are at a high risk of losing their lives. I felt the year 2015 was one of the most terrifying ones I’ve lived through, as there were several bloggers and publishers who were attacked in 2015. The attacks kept happening- one after another bloggers were targeted and killed. Many other bloggers were threatened and feared for their lives and fled abroad- perhaps never to return to the country that was once their own. Some of them left alone, and some managed to take their spouse and/or children. They left in a hurry and continue to struggle. It is not easy when you are forced to leave your country because your choices deprive you of your right to exist in the country that you were born in, grew up in, lived in for a long time if not your whole life! If you don’t leave, you cannot live. 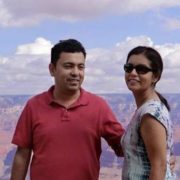 With regard to Avijit Roy, I can only say that the attackers may have succeeded in killing him, but the light of critical thinking that he tried to ignite still lives on. He may have lost his life, but his work will continue to inspire youths who want to think critically. “Please understand our world in its rich and messy complexity; hold your politicians responsible; inform yourself, question, and deepen your understanding; and support the journalists and the people who are putting their lives on the line by helping us to make sense of this complex world—it matters. Avijit Roy was silenced, but I have a voice. 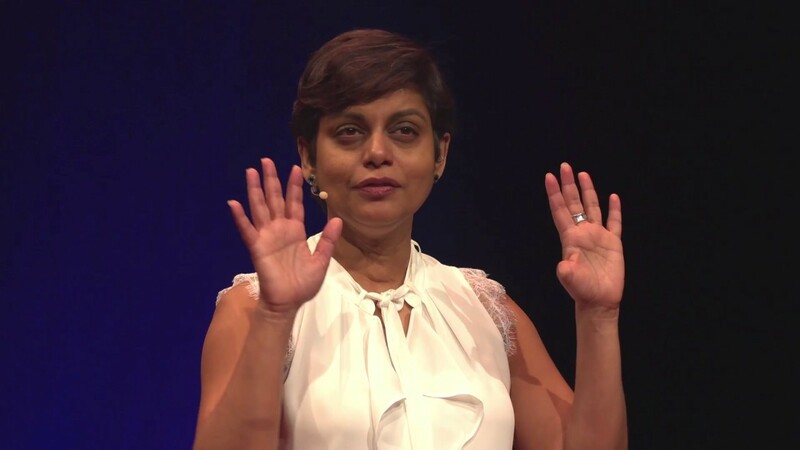 Why me—Why not me—Why not you?”- Bonya Ahmed’s TedX Talk. I would also like to express my thoughts on Bonya Ahmed, who continues to work tirelessly to achieve their shared dreams. Rafida Bonya Ahmed giving a TEDx talk. I listened to her TedX talk, and I have been fortunate enough to meet her in person. She is extremely brave and inspiring. The courage and motivation that she exhibits in continuing to work for causes she is passionate about, is an inspiration for not only other Bangladeshis, but activists who have been punished by the state, or attacked by the opposition, or forced to flee their homeland for expressing their thoughts. She is a living example many of us can draw strength from. *The opinions expressed here are solely that of the writer. Bangladesh until 1991 was a military regime (1). The traces of such former militarization are ever-present in society and crystallize through the need to stay in power that surges once elections take place. In 2013, a Freedom in the World report indicated that Bangladesh’s political situation was seemingly “ready to spin out of control” (1). On the one hand, issues such as corruption, lack of press freedom and poorly working checks and balances interfere with the fairness of regularly held elections (1). On the other hand, the political culture in itself is based on antagonization (2). Political conflicts are in a perpetually escalated state and are carried out not over ideological differences, but as vicious cycles of revenge and assertion (2). This last of three articles (read here part 1 and part 2) on the Bangladeshi elections attempts to understand the source of this political and electoral violence by drawing on various theories of violence and reports on oppositional oppression. Symbolic Image. 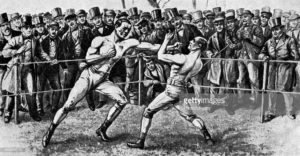 The last bare-knuckle fight, Farnborough, Hampshire, 17th April 1860 (1951). Political violence comes in various forms. One form, for instance, expresses itself in arguments on differences of opinion. 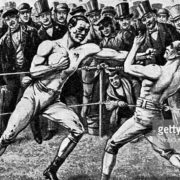 Arguably, although arguments should serve the purpose of convincing one another, certain political debates at higher level are mere assertions and proclamations of opinions, meant to continue for an indefinite amount of time. Second, political violence can take the form of physical clashes. This term covers street fights, attacks on rallies, strikes, protests, sieges and others (2). Such clashes are not primarily driven by political opposition towards each other, but by internal dynamics of being united against an alienated opponent. In Bangladesh, the second form of political violence takes prominence. As Moniruzzaman observes, “institutional interaction between parties is largely overshadowed by non-institutional methods of interaction” (2). Hence, the population takes matters into its own hands, as the prospect of elites securing the country’s governance is in the stars. What follows is an assertion of persistence, often taking the form of attacking another party’s rally, which in turn is followed by a demonstration of strength by those that were attacked. To illustrate the dimensions of the physical clashes, one needs only look at the 2016 Union Parishad Election, in which electoral violence reached a record high when over one hundred people died in fights between Awami League and BNP supporters (3). Theories of political violence rarely cover all aspects of case studies, and it is thus natural that Bangladesh is no exception. In fact, Bangladesh’s electoral violence rather conforms to its own logic. Most researchers assume that political violence is merely temporal, applied to defy general norms only until a certain goal has been reached, namely that of inclusion of deviant separate ideology. Violence by political parties in Bangladesh, however, is not a means leading to an end – it is the end itself. In ideal constitutional regimes, according to Talcott Parsons, citizens and their political representatives come to a tacit agreement: As long as one side exercises restraint in its political demands, the other side will in return exercise restraint in oppressing and coercing (4). Take away some of the two ingredients for a more or less violence-free society, however, the situation becomes tricky: In Bangladesh, parties upon assuming office immediately marginalize and harass the opposition (5). This phenomenon is common to all major parties. “Former opposition parties [are] therefore quick to take revenge on their outgoing rivals virtually every time party governments changed through elections […]” (5). What results is a vicious cycle: without the above-mentioned promise of restraint, oppositional parties frequently cite repression by the ruling party as a legitimization of violence. The ruling party, scared of being repressed itself if it was to lose office, harshens its measures of oppression of the opposition, yet again providing the opposition with even more cause for violence (2). Another aspect worth investigating is that violence is usually interpreted as a danger signal. Political violence, as argued by Coser, can be seen as an “indicator of how serious the group is in pressing its claim” (6). But in Bangladesh, erupting violence is much more than that. It is the status quo, habituated in politics. It is the path political figures take if they want to be heard or taken seriously. Having become the language in which politics speak, political violence in Bangladesh is institutionalized. Causes of violence are deep-rooted, and examining them fully is a major task of its own. However, some conclusions can be drawn on the origins of political violence based on the last fifty years of Bangladeshi history. Generally, the 1971 Liberation War against Pakistan is seen as a crucial development among researchers. After its independence, the whole of Bangladesh was under adrenaline, with large quantities of weapons floating around deprived of their original purpose. The newly founded Bangladesh quickly turned into a military regime; the first government introduced a policy that provided Members of Parliament with light machine guns. In turn, a party-internal policy led to arms being distributed to the student front of the ruling party in order to secure the public (2). The culture of armed violence is thus not just a remnant of the Liberation War that is still within society, but was actively introduced by the first government in order to build a nation (2). Of course, this explanation does not tackle the issue fully. In early November at an election rally, the alliance Jatiya Oikyafront of which the BNP is a member turned to voters calling to “stand strong”, reminding voters that they “are the owner of the state” (7). Although such proclamations in theory reflect fundamental concepts of democracy, the Oikyafront’s speech threatened to intensify agitation and take to the street if its demands were not heard (7). The BNP’s Standing Committee Member Hossain warned: “Give us a solution or else get ready to face a movement” (7). Although early analyses of the upcoming 2018 elections gasped at their peaceful nature and reported that violence was unfolding slower than had been expected, expressions of violence are thus not at all absent. Disclaimer: The author is not an expert on political violence, and the analysis thus draws on conclusions of other authors. The opinion portrayed in this article does not promise to have covered the case study perfectly in all aspects, but hopes to have given a general overview of the problematic and an introduction to the matter. Riaz, Ali. “Bangladesh’s Failed Election.” Journal of Democracy 25(2) (2014): 119-130. Moniruzzaman, Mohammed. “Party Politics and Political Violence in Bangladesh: Issues, Manifestation and Consequences.” South Asian Survey 16(1) (2009): 81-99. Bangladesh braces for final round of union council elections that have left over 100 dead. Bangladesh News 24. Parsons, Talcott. “Some reflections on the place of force in social process.” Sociological theory and modern society (1967): 264-96. Lorch, Jasmin. “Elections in Bangladesh: Political Conflict and the Problem of Credibility.” E-International Relations (2014): 1-7. Coser, Lewis. Men of Ideas: a Sociologist’s View (1965). New York: Simon & Schuster (1997). Movement if talks fail. The Daily Star. The party horizon in Bangladesh can be complicated at first sight. The landscape is dominated by parties teaming up for their campaigns to secure a two-thirds majority: The United National Alliance, the Bangladesh National Alliance, the Islamic Democratic Alliance, the Jatiya Oikyafront … (7). Overall, over one hundred and fifty parties are said to exist, each with their own somewhat unique program. The alliances tend to be led by a strong party that offers seats to smaller parties in exchange for cooperation. In the following, we will take a look at some of the major players of the upcoming December 30th elections, and consider what conclusions can be drawn from statements made on social media. The name translates to “People’s League”. Its leader is Sheikh Hasina, who assumed this position in the 1980s. In the previous elections, the party won 234 seats in the parliament (79.14% of votes), and while this result was criticized, it remained uncontested. The Awami League is historically a strong party, with five of its leaders having assumed the position of President of Bangladesh and four that of Prime Minister. Politically, it believes in the ideology of “Bengali first”, taking an ethnic stance, and officially stands in support of secularism (1). During its current rule, on the one hand, the AL is said to have successfully furthered its development agenda, and the international community has stated that it is pleased with the way the government is handling the Rohingya crisis (2). On the other hand, the AL is allegedly pursuing a one-party rule, and has faced allegations of corruption. Potentially the biggest flaw in its previous rule are its harsh measures in securing alleged public safety, which include imposing media bans and applying lethal force (3). Regarding the former, the government has sharpened the restrictions on media with the 2018 “Digital Security Act”, which Human Rights organisations have harshly criticized. Regarding the latter, when the road traffic situation in the capital Dhaka deteriorated culminating in the death of two students in collisions with a bus, a minister’s reaction was interpreted as his dismissal of the deaths. Ultimately, protestors effectively “took control” of Dhaka’s traffic system in a series of protests against not only insufficient infrastructure, but the legitimacy of the government itself (4). 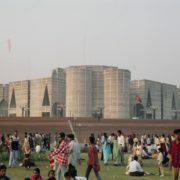 The BNP holds the record of being largest opposition in the history of Bangladesh. Due to its boycott of the 2014 elections, the BNP currently holds no seats in the parliament. In the 9th parliamentary election, its popularity had already decreased from holding 193 seats to just 30 (3). Politically, the BNP pursues a nationalist policy under the geographic ideology “Bangladeshi first” (1). A person shall be disqualified for election as, or for being, a member of Parliament who has been, on conviction for a criminal offence involving moral turpitude, sentenced to imprisonment for a term of not less than two years, unless a period of five years has elapsed since his release. Given the focus on constitutionality of the elections, it thus seems unlikely that Zia will even be eligible to run as a candidate. Further, the violent nature of the boycott of the previous elections does not serve as a basis for a convincing election campaign. The Jatiya Party is currently represented by 34 seats in the parliament, having claimed 11.31% of the votes in the previous elections. It follows the BNP in its pursuit of “Bangladeshi first”. Its current leader Hussain Muhammed Ershad only assumed the position in 2013, but the party is historically known for having usurped state power in 1982 by a coup d’état, after which it ruled for the brief period of a year. The JI is a curious case, as its loyalty is said to rotate among political orientations. Although it primarily focuses on promoting “Islam first” (1), it allied with the BNP in 2001 who pursues what is arguably a different ideology (3). In an increasingly Islamised society, the JI could indeed secure a significant amount of seats, but its history imposes serious obstacles: In Bangladesh’s Liberation War on 1971, which until day remains a topic relevant to the country’s identity, members of a militia allied with the JI fought alongside Pakistan and participated in mass atrocities involving mass murder and alleged genocide (3). The JI “continues to claim that it is innocent of any atrocities, and has never apologized”, and most ruling parties seem to have decided to ignore the issue (3). What is the first prognosis? However, simply looking at social media might not give a representative portrayal of the situation on the ground. As social scientist Manuel Castells argues, “social media triggers some of the basic human emotions”, namely anger and fear, whereby the average user will primarily come across outrage (4).